616 pages | 135 B/W Illus. In recent years the airline industry has experienced severe volatility in earnings, with airlines recording periods of substantial profits that are closely followed by periods of financial distress. This trend has continued into the new millennium, with numerous examples of airlines across the globe entering bankruptcy protection or liquidating. This textbook contains chapters that cover unique aspects of the aviation financial decision-making process. These include a rigorous and structured presentation of the buy versus lease decision that is prevalent in the industry, a valuation process for aviation assets, the recent trend toward privatization and the difficulty inherent in the valuation of a publicly-owned or semi-publicly owned asset. 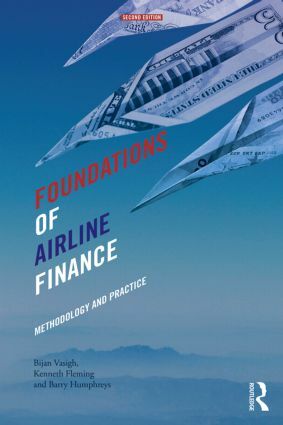 The Foundations of Airline Finance, now in its second edition, is an introductory text that can be used either as a general financial text or in a specialized class that deals with aviation finance in particular. Dr Bijan Vasigh is Professor of Economics and Finance in the College of Business at Embry-Riddle Aeronautical University, Daytona Beach Florida, USA, and a Managing Director at Aviation Consulting Group, LLC. Barry Humphreys is a former Director of Virgin Atlantic Airways; he is currently Non-Executive Chairman of the British Air Transport Association and an aviation consultant.